You must make reservations at least 5 minutes in advance of the time at MarkJoseph Steakhouse. Parking is available at Central Parking located on the corner of Peck Slip and Pearl Street. A flat rate applies with validation when entering after 4pm. Subway Lines 2,3 stop at Fulton Street/William Street at Fulton Street Station. ; Subway Lines A,C stop at Broadway/Nassau at Fulton Street Station. ; Subway Line E stops at Chambers Street. ; Subway Lines 4,5,6 stop at City Hall/Brooklyn Bridge or Broadway/Nassau at Fulton Street Station. Now accepting reservations for FATHER'S DAY Sunday June 17th beginning at 3pm. 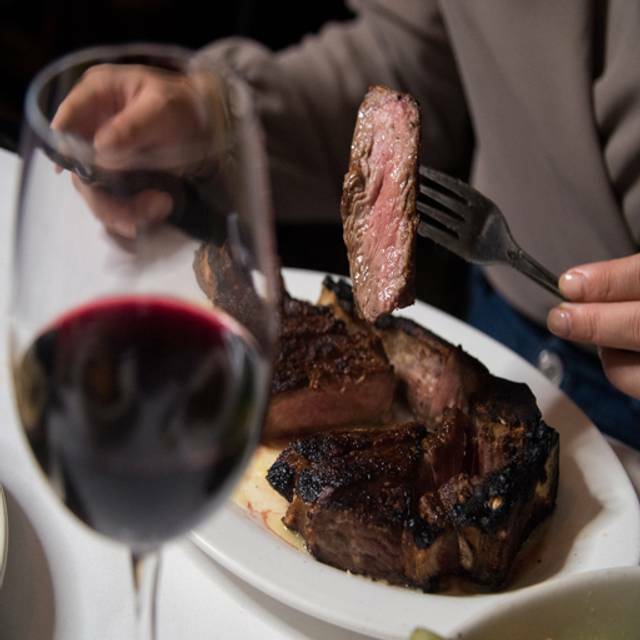 Whether you are planning a family celebration, a private party, dinner with friends or a business meeting for twenty MarkJoseph Steakhouse will impress all of your guests. Parties with up to 60 guests can be accommodated during regular business hours in our Private Area. 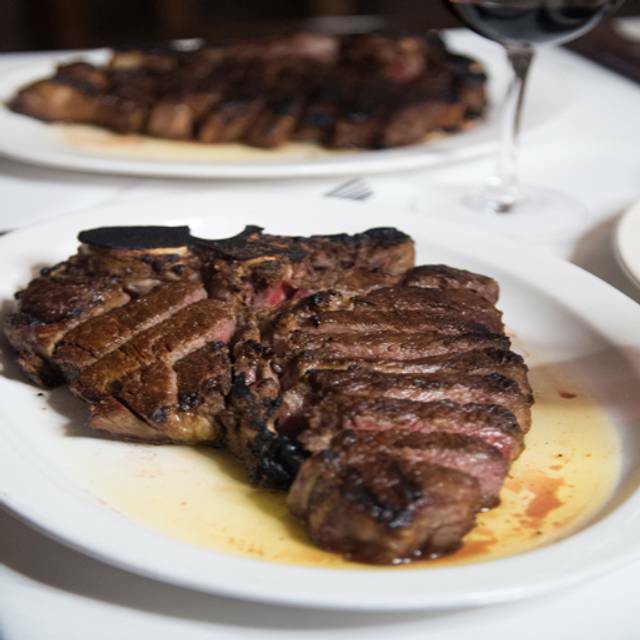 MarkJoseph Steakhouse has been serving the best USDA Prime Dry Aged Porterhouse in New York City since 2000. 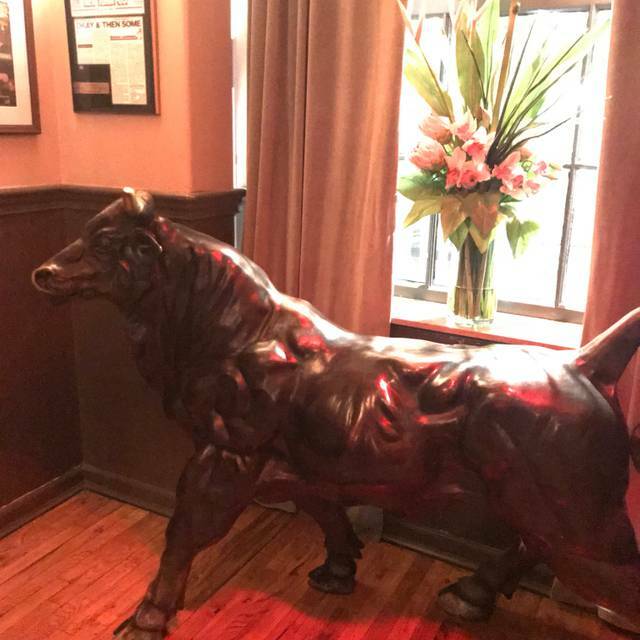 Raising the bar of excellence for authentic New York City Steakhouses, MarkJoseph Steakhouse combines excellent food and polished service all in a comfortable atmosphere. 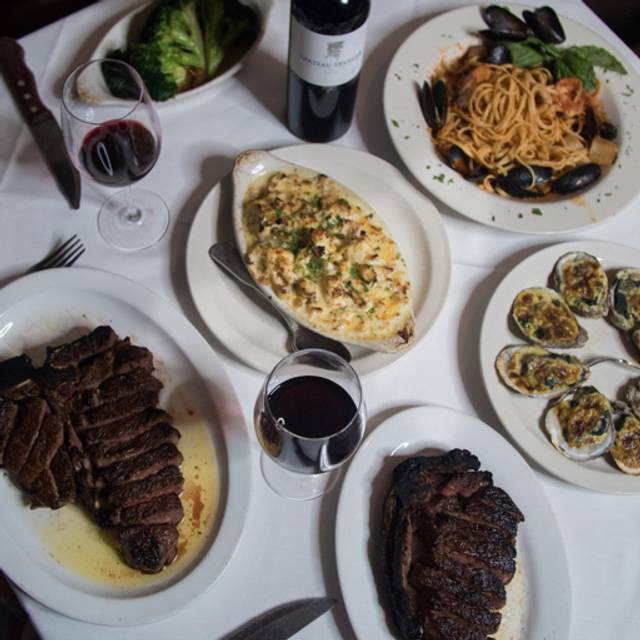 Dining at MarkJosph Steakhouse you will find that your entrees are consistently prepared exactly how you like them! Porterhouse always arrives to your table sizzling and prepared to perfection. 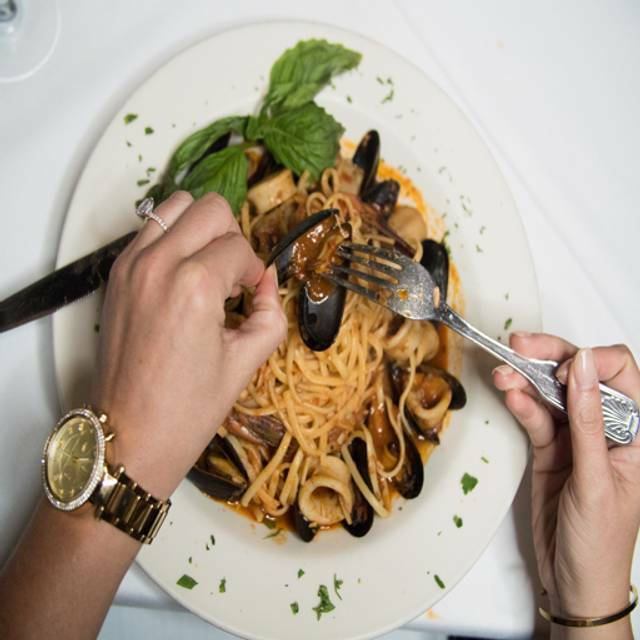 With a Zagat food rating of 24 even the most prestigious palate will be delighted. 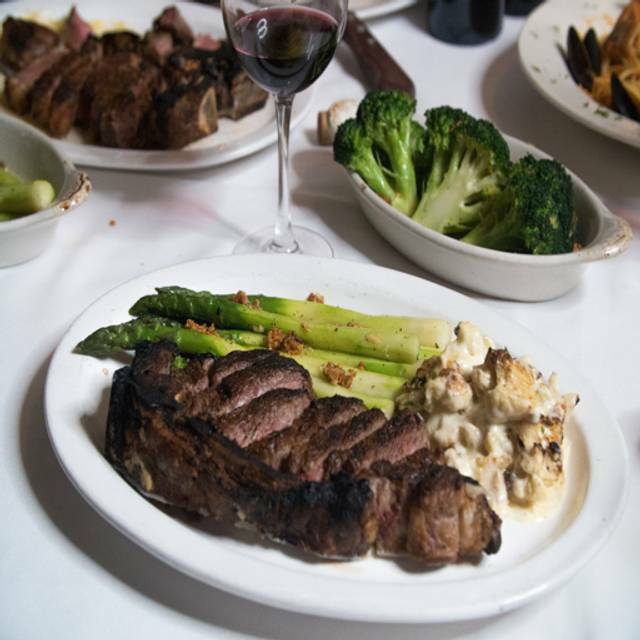 Voted #1 Rated Steakhouse in Manhattan in 2005 and 2007. From the moment we stepped in to the moment we left, everything was perfect. 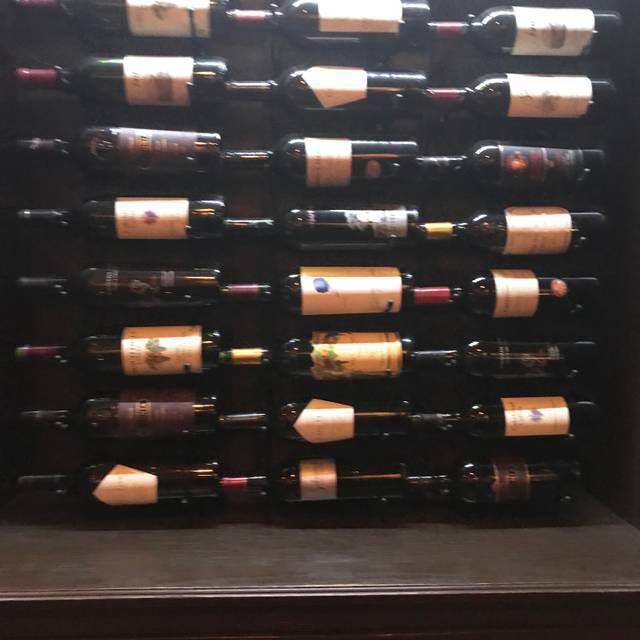 High quality dry aged meats, fresh sides, and a respectable wine/spirits selection, coupled with attentive, yet non overbearing service created a memorable experience for our sendoff dinner for a good friend moving away for work. Highly recommended for any special occasion. The ease of making the reservation was appreciated. The reminders were great too but the food was exceptional. The service was top notch. There were 5 in our party and most got steaks and salmon and every meal was perfect. We also got 5 sides and they were barely enough. Each side is probably good for 3 people but they were also excellent. Will go back again in the future. Mark Joseph never disappoints. The food is outstanding and the service is first class. Hands down the best steakhouse in NYC. 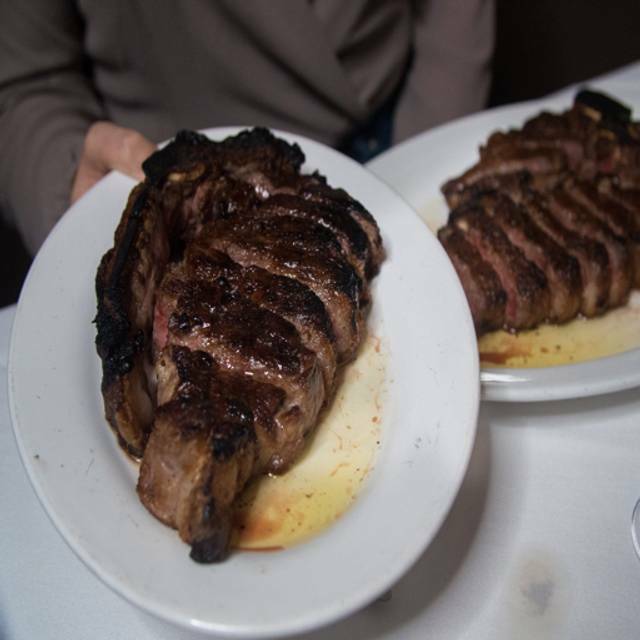 I HAVE ALWAYS ENJOYED MY DINING AT MARKJOSEPH STEAKHOUSE AND MY RECENT VISIT WAS NO EXCEPTION. THE FOOD WAS WONDERFUL, THE SERVICE FIRST RATE AND THE EXPERIENCE COMMENDABLE IN ALL RESPECTS. Wow! What an amazing meal in a fabulous setting! This one-of place deserves a spot at the top right with Smith & Wollinsky’s and F.X.Buckleys in Ireland! People should really be going to the financial district for a place like this! Robert our server was great and more than friendly!!!! Strongly recommend to anyone who knows good food! Michael is the best waiter and we always look forward to his service. The ambiance of the restaurant was great. The service was fantastic as everyone checked in on the table and not just the one waiter. This had=s become my fav NYC restaurant. Great steaks, one of the best shrimp cocktails anywhere, super wine list, fantastic single malt Scotch list, and super deserts every time over ten years means a consistantly great steakhouse. 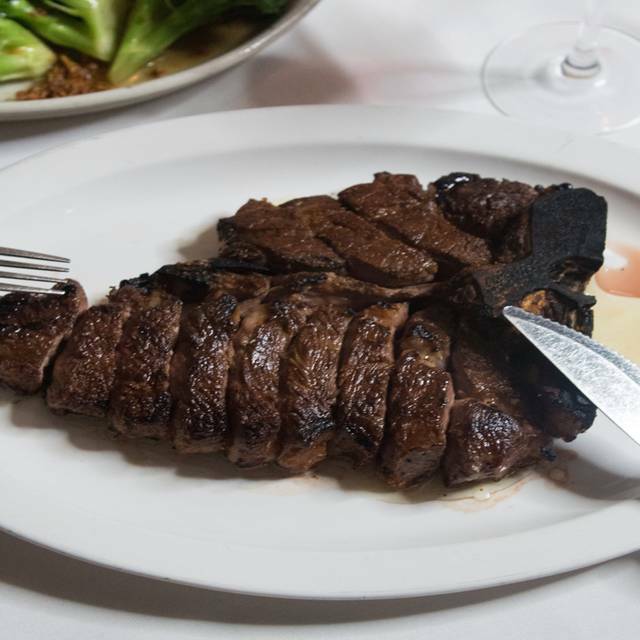 If you're in Manahattan, you have to eat at Mark Joseph's Steakhouse. The food and service was absolutely outstanding. In my opinion, they have the best steak in NYC and prices are reasonable given the high quality. Will definitely go back. Our waiter Rob is one of the best in the business. Amazing experience all around! Food was amazing! It was the first time we were there and it was awesome my husband's bone-in rib-eye was done to perfection and that was one of the two best yellowtail tuna I have ever eaten! We definitely will be back! Very good food and really good service, the food was really good from the appetizers to the entrees to the drinks. Food and service were both excellent, staff makes you feel at home. Everything was good except he steak.... Was way undercooked and had no flavor whats so ever. Ten of us went for restaurant week. The ambiance was cozy. Service was outstanding. We all enjoyed the food. The steak lovers raved over their dish and the salmon melted in your mouth. Creamed spinach and mashed potatoes were delicious. The baked clams were the best, but extremely small. The berries and cream was just okay, also a very small portion. Those who ordered ice cream said the portion size and taste was spot on. I would definitely return to try other dishes. Always an amazing meal at Mark Joseph’s! We went to MarkJoseph Steakhouse on Superbowl Sunday to celebrate my mother's birthday. It was pretty quiet, so we figured many people were at Superbowl parties, and that was totally fine. We selected from the restaurant week menu and were highly delighted in our dishes! The steak was juicy and cut well. The creamed spinach wasn't too creamy, and had the perfect seasoning. The service was commendable; each waiter was kind, gave recommendations, and made jokes with the family. We will definitely visit again this year! We had a wonderful time. The wait staff was wonderful, our meal fantastic and the ambiance was great. I went for restaurant week and the food was overly salted. I wish the lobster mac and cheese had lobster in it. Excellent as usual. The onion rolls are usually “to die for”. For some reason they were not quite as good or as warm as they usually are, otherwise everything was terrific. Delicious food and prompt friendly service. Superior service and food. Receptionist, wait staff, etc. highly visible and available. Excellent steak and pasta. Food was excellent!!!! Our steaks were cooked perfectly! The steak cane out the wrong temperature but that did not stop them from giving us great service. They corrected the problem immediately and made it right. The servers were a team. When the female waitress noticed there was a problem she came over and helped us. It was not her table. There’s a lot to be said for servers who work together .. they care about where they work .. they realize it but just about their tips. Restaurant week menu, i frequent this place about 4 times a year with a big group since the value is great during that time. The service is always great and the food pretty good. when we got the bill we noticed that they charged $26 for a ketel one martini with blue cheese olives. $19 for ketel, $5 for up, $1 for olives. I still find that horrendous and this has never happened on my prior visits. I went to contest and the lady said yes we do charge extra for making martinis... I will no longer visit this restaurant for this particular reason, there are plenty of great steakhouses in lower Manhattan that do not charge $26 for a martini (I had 2). The food was great quality but the wait was very long, we waited over an hour for our food. It is better to go for dinner because you will wait too long if you go for lunch. Delicious and inviting we will be back again soon!